Earlier today, it was reported that Creed star Tessa Thompson joined Thor: Ragnarok as a mysterious new superhero who will be Thor’s new love interest. While the former is certainly exciting given that the Marvel Cinematic Universe now has a new defender, the latter was surprising given how Thor and Jane Foster were still romantically involved when we last saw them together. Now it appears that not only won’t Jane be involved with Thor, but she probably won’t appear in the movie at all. 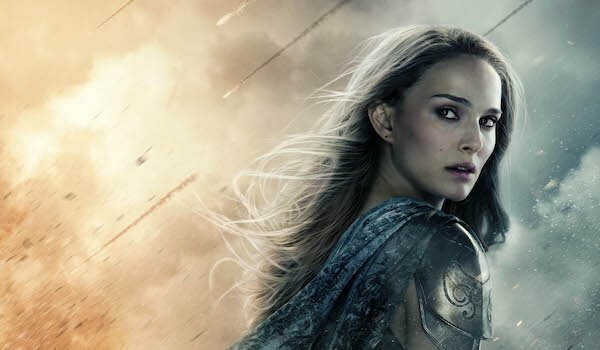 In The Hollywood Reporter’s own coverage of Tessa Thompson’s casting, they report that Natalie Portman will not reprise Jane Foster for the third Thor installment. No reason was given for Portman’s absence, but they speculate that Thompson’s character could be filling Jane’s spot as the female lead. Portman is the second actor from the Thor series who isn’t returning for Thor: Ragnarok, following Stellan Skarsgård, who plays Dr. Erik Selvig. However, the report does mention that Jaimie Alexander will be back as Lady Sif, so that’s one familiar face we seemingly don’t have to worry about. Natalie Portman’s Jane Foster was introduced 2011’s Thor as an astrophysicist who discovered Thor with her mentor Erik and her friend Darcy when the God of Thunder was banished to Earth. As they spent more time together, they soon fell in love, though this was short-lived, as Thor soon found himself preoccupied by his brother Loki’s machinations in both Thor and The Avengers. They reunited in Thor: The Dark World, where Jane inadvertently absorbed the Aether and later assisted Thor in defeating Malekith, the Dark Elf. In the Thor: The Dark World post-credits scene, the two of them happily reunited, and while Jane was only referenced in Avengers: Age of Ultron, it didn’t appear like the two were having any problems. Perhaps something happened between the second Avengers movie and Thor: Ragnarok that led to them parting, either amicably or a little messier. Jane Foster has been one of the most important characters in Thor’s supporting cast since the character made his Marvel debut in 1962, so to hear she won’t be involved is concerning. However, with Thor: Ragnarok set to mostly take place away from Earth, there might not have been any way to organically weave her into the story. It’s one thing for the God of Thunder to recruit his Avenger ally Hulk to help him battle evil across the Nine Realms, but a normal human like Jane wouldn’t be able to really jump into the fray without the proper powers or combat skills. Of course, the behind-the-scenes explanation could be that Natalie Portman wasn’t keen on returning, but unless Marvel provides contrary information, it appears that Jane will be sitting this adventure out.